Electricity schedule, originally uploaded by mdelamerced. 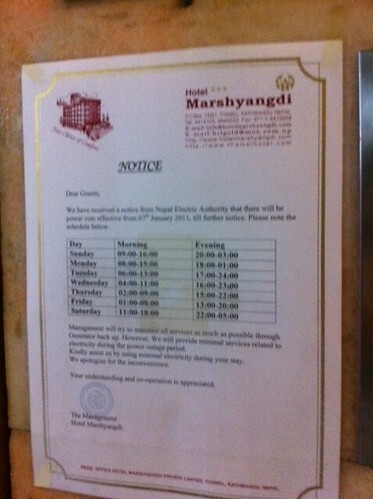 Nepal suffers rotating blackouts. Here’s the schedule of our hotel. More black than light.